Let’s talk about salads. We love to eat them, particularly in the spring and summer months because they’re so cool and crunchy and fresh. We also know that we need to eat more vegetables in general because of their high nutrient content. What better way to “beef” up our vegetable intake than by eating a great big salad every day? Well, there are a couple of problems with that. Firstly, and most seriously, there is the increasing frequency of E coli outbreaks in fresh produce. If you go back a couple of decades, most people were more worried about E coli outbreaks in their meat and poultry products. Back then, improperly cooked hamburger or chicken were the most common culprits – so much so that a vegetarian diet began to seem, not only the healthier choice, but the safer one as well. Jumping back to current times, however, and the situation has changed considerably. According to a 2015 estimate from the CDC, produce is now the most common cause of food-borne illnesses, comprising 42% of all cases, while meat and poultry are the culprits only 22% of the time. Vegetable row crops, such as lettuce, broccoli, celery, asparagus are most commonly implicated. A fifth of all outbreaks are caused by lettuce alone. Which brings us to the most recent E coli outbreak – one that some are calling the worst since 2006, at least when it comes to leafy greens. 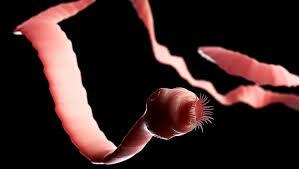 It has sickened 98 people and hospitalized 46, including 10 who developed kidney failure. You may have heard of it. The suspected cause was a crop of romaine lettuce grown in Yuma, Arizona. Ironically, our newfound preference for fresh, pre-made salads, made with every intention of improving our health, is instead increasing our risk of severe illness and death. Pathogens in chopped and pre-packaged lettuce are thought to be rinsed off with the use of a special chlorine wash, but studies show that these rinses are only partly effective at removing bacterial contamination. The reality is that vegetables are grown in dirt, irrigated with water that may be contaminated with cow manure, and then handled by many other people and machinery all along its way to your grocery store. Bacterial contamination can occur anywhere along this path. The only sure way to kill pathogens is to use heat, and we prefer to eat our lettuce raw. This brings us to the second problem with eating salads on a regular basis: much of the nutrient content of vegetables is lost when they are eaten raw. Many nutritionists and natural health practitioners will insist that vegetables are best eaten raw because of their high enzyme content, which assists with their digestion and assimilation. Since cooking will kill off these naturally occurring enzymes, it is thought best to avoid the heat and eat them raw. 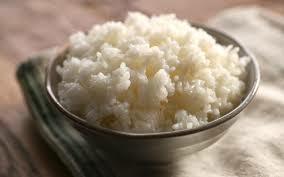 However, while cooking does remove some beneficial enzymes, it also breaks down the cellulose matrix (plant fibre) so that nutrients are more available to your body. You can see this when vegetables are lightly steamed. The colour of the vegetables becomes brighter, richer. This is a sign that the vitamins and minerals in the vegetables have been released, and are now more available to your body. In Chinese medicine, there is a saying: “It’s not what you eat, it’s what you assimilate”. If your body cannot easily extract the nutrients from raw vegetables, then there is no benefit in eating them. According to Chinese medicine, raw vegetables are also thought to be very cooling, and weakening to your digestive system. This makes sense. If your digestive organs have to expend a lot of energy in order to extract the nutrients from raw vegetables, there is a high gross output for little net gain. When vegetables are steamed or lightly cooked first, part of the digestive process has already been accomplished for them. The nutrients in the vegetables are now more readily available to your body, resulting in a lower gross output and a higher net gain. Bottom line: your digestive organs are less stressed when eating cooked vegetables when compared with raw, and yet still receive a greater reward of nutrients for this reduced effort. It all translates into stronger, sturdier organs that will retain their vitality well into your years. And since raw vegetables are now more dangerous to consume because of potential bacterial contamination, this is all the more reason to steam your salad before you eat it. We all seek purity in the food we eat and the water we drink, not just for ourselves, but also for our children. Particularly for our children. It’s sad that in the modern world this goal has become so hard to meet. A couple of weeks ago, I wrote a blog about micro-particles of plastic that have been found in most commercially sold bottles of water. Now, a new study has found “concerning” levels of heavy metals, including arsenic, cadmium, mercury, as well as toxins like bisphenol A, in most top-selling protein powders. Powders that we thought were helping us to become stronger and healthier. The study was commissioned by a Denver, Colorado-based nonprofit company called Clean Label Project. They took 134 of the most popular protein powders, as rated by Amazon and Nielsen, and then had them tested. Virtually all contained detectable levels of at least one heavy metal. 70% of them had detectable levels of lead, while 74% had detectable levels of cadmium. 55% also tested positive for BPA. One protein powder had 25 times more than the regulatory limit of BPA in just one serving. If you think that organic, or plant-based protein powders would fare better, you’d be wrong. Organic and plant-based protein powders made from soy and hemp were even more contaminated than animal-based powders and contained, on average, twice as much lead. “Plants are especially prone to absorbing heavy metals from soil”, says Sean Callan, Ph.D., a neuroscientist and director of operations at Ellipse Analytics, the lab that tested the protein products. Animals also have their own detoxification systems which filter out some contaminants, which is why animal-based protein powders, made from whey or egg, tend to be cleaner. 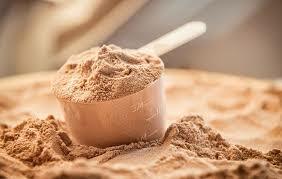 The study helpfully provided a list of the five cleanest protein powders, as well as the five who tested the worst. The top five cleanest brands were: Pure Protein, Performix Pro, BodyFortress, BioChem, and Puori. The five most contaminated were: Garden of Life, Nature’s Best, Quest 360Cut, and Vega. With this newest report of rampant heavy metal contamination in a large and popular market niche (consumers spent $12.4 billion on protein powders and supplements in 2016), you might be inclined to shrug your shoulders and overlook it, thinking that everything is polluted now. Maybe it’s just not possible to find “clean” foods or drinks anymore. However, some protein powders tested quite clean when compared to others, which shows that it is possible for these companies to do better. A lot of it is just complacency and lack of oversight. We should also remember that heavy metals, although ubiquitous because of excessive fertilizer use and manufacturing run-off, are not benign. High concentrations have been linked to cancer, brain damage and reproductive issues. Cadmium, an active component of battery acid, is particularly toxic because it can accumulate in the kidneys and cause kidney damage, as can excessive protein consumption itself, particularly among those whose kidneys are already weak. Which leads us to a possible solution: why use protein powders and protein shakes in the first place? Most of us can get plenty of protein through a regular, balanced diet. A 5 oz. container of Greek yogurt has about 17 grams of protein, and 3.5 ounces of chicken has 31 grams. Both easily match the 15-25 grams you would get from a serving of protein powder, but are more natural, and also less contaminated with heavy metals. Since your body can only break down a certain amount of protein per hour, it doesn’t make sense to load up with a big serving all at once. The bottom line: protein powders and shakes may be tasty and convenient, but most people don’t need them. Now that we’re aware of their contamination with heavy metals and BPA, we should try to avoid them and get protein from natural, whole food sources instead. “Kitsungi” is a form of Japanese art that I’ve always found fascinating. Really, it’s more a method of repair than a formal art as it requires a broken ceramic object, such as a bowl or plate, that is then mended with a special laquer dusted with gold. What makes this art form so special, is that there is absolutely no attempt made to camouflage the broken places. In fact, they are deliberately emphasized. 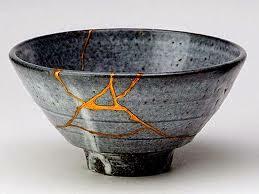 This practice of accentuating damage and imperfection is related to the Japanese philosophy of “wabi-sabi”, which encourages us to see beauty in brokenness. A similar sentiment is definitely operating at the newly opened Museum of Failure in Sweden, with a traveling exhibit currently in Los Angeles. The idea behind this odd museum came from Dr. Samuel West, a Swedish psychologist who noticed, and became sickened, by the modern habit of promoting success, while ignoring the importance of failure. To his mind, it showed a lack of understanding of how crucial failure is for the creative process. Successful innovators, like Steve Jobs, would never have achieved the wild success for which they eventually became known, if they hadn’t persevered through plenty of early failures. Dr. West hopes that the Museum of Failure will make people comfortable with the idea of failure, and no longer fear it. The fact is, if you want to create anything, you will fail, and fail often. This doesn’t mean you can’t eventually succeed. Within the Museum of Failure are nearly 100 items, many well-known, all of which went wrong in one way or another. Select items include: Google glasses, Sony’s Betamax VCR, New Coke, the “Bic for Her” pen, and a Blockbuster video rental case. Says Dr. West: “It’s liberating to see these brand-name mega-corporations — who are perfect and never do anything wrong — and see them [expletive] up. You think, when I try new things it’s okay for me to fail. It’s okay, it’s inevitable. There’s something beautiful about that.” The Museum of Failure even has a “confession wall” where you can write your own failure on a Post-It note and share it with the world. So, give it a shot. Let us see your imperfections, unique and precious as they are. We also won’t miss that special glow you have, that shines through all the broken places from within. By now, I think everyone has heard of the “Great Pacific Garbage Patch“, a much-publicized area in the Pacific ocean where water currents, wind, and other ocean features have naturally converged, allowing various debris to accumulate. While the name immediately conjures a vast swathe of garbage, mostly in the form of bobbing plastic bottles, that’s not exactly true. Most of the plastic there has already been broken down into tiny particles closer in size to confetti than yogurt cups. But this shouldn’t diminish our concern about the ubiquity of plastic in our environment, and what this means about the health of our oceans, and for the sea creatures that live there. Now, it seems we have even more to worry about. According to a new investigation performed by scientists at the State University of New York in Fredonia, and commissioned by Orb Media, tiny micro-particles of plastic have been found in our own water supply. Our bottled water, to be exact. In this investigation, 250 different different bottles of water were analyzed from nine different countries. A whopping 93% had microscopic pieces of plastic floating within them, despite claiming to follow rigorous standards for purity. On average, 325 particles were found in each litre of bottled water being sold, although some brands contained as many as 10,000 per litre. For the most part, all the particles were larger than the width of a human hair. Because all brands of bottled water were contaminated, the investigators didn’t feel able to recommend, or warn people away, from any particular company. You may now be thinking it’s time to switch back to tap water, but a previous study found that it also contained these same micro particles of plastic, although in roughly half the number. How about water in glass bottles? Well, the investigators also tested one batch of water from glass bottles for comparison, and guess what? That water contained micro-plastics too. This information is sobering, and appears to mean a couple of things: 1) our water filtration systems are in bad need of modernization. Somehow, we need to advance the science of purification so that microscopic pieces of plastic can be removed from our water before we consume it. And more importantly, 2) we really need to stop using so much plastic! Scientists are now estimating that within three decades, there will be more plastic in our oceans than fish. In response to this revelatory news, the World Health Organization has announced that it will review the potential health impacts of plastic in drinking water, but this is cold comfort. We already know that some of the chemicals in plastics, namely BPAs and pthalates, have estrogenic activity, and may also increase the risk of asthma, ADHD, low IQ, autism, male infertility, obesity and cancer. Particularly frightening is the knowledge that there are other chemicals in plastics whose health effects we do not yet know. Some researchers have attempted to allay concerns by stating that most of these microscopic plastic particles probably pass right through our systems without having any negative effect. But this is hardly reassuring considering that they also admit they don’t know enough to be sure. Microparticles of plastic are so small it’s very possible that they are absorbed into our liver, kidneys, and bloodstream. So, what do we do with this information? Considering the ubiquity of plastic in our modern environment, it’s hard to make a recommendation that would make much difference for the safety of ourselves and the people we love. Individually, you can stop buying bottled water, and use tap water in refillable water containers instead. Tap water may still contain micro-particles of plastic, but at least it has a lower amount – and it’s free. As for the rest of the food we eat, we don’t have much of a choice since the majority of products on grocery store shelves are wrapped in plastic of one form or another. Right now, I’m trying to have faith in human ingenuity, and in science and technology, hoping that they’ll discover some way around this mess that we’ve gotten ourselves into. We’ve found life-saving solutions to plenty of problems in the past, from the discovery of antibiotics, to the development of vaccines, and refrigeration. Let’s hope we can find a solution to this problem too. Why are sibling studies so fascinating? I suppose it’s because they provide us with another window through which to view ourselves, and we are all narcissists at heart. They also have the added advantage of being guilt-free. After all, we had no control over when we were born, and what place we took in our families. As a result, we can look at these studies and evaluate the course of our lives without shame. This new sibling study will have later-born children feeling short-shrifted, once again. According to a study published in the Journal of Human Resources, which examined data from the US Children of the National Longitudinal Survey of Youth, first-born children score higher marks on IQ tests, and perform better on reading and picture vocabulary tests, by the time they are just one year of age. The IQ scores of first born children were not dramatically higher than later borns, but researchers say the difference is big enough to allow entrance into better schools, with better opportunities. These higher IQ and reading scores could explain why first-born children usually enjoy higher wages and better education than their younger siblings. After all, it can’t be coincidence that first born children are over-represented as CEOs, astronauts, Rhodes scholars, and university professors, can it? Because this new study also evaluated the behaviour of the mothers, not just the children, it attempted to confirm why first borns have such an advantage. In this case, the researchers found that mothers took ‘higher risks’ with each succeeding pregnancy, and were less likely to stop smoking or drinking each time. The mother’s behaviour after birth was also substantially different: first borns were more likely to be breastfed, and were offered more mental stimulation from activities such as reading, craft-making, and the playing of musical instruments than children born later in the family. This recent study was the largest sibling study ever performed, following 5,000 children over more than a decade, with evaluations done every two years from birth until 14 years of age. Its findings would be hard to refute. 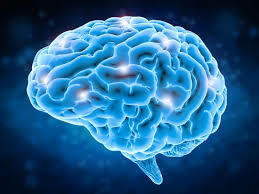 However, I found it interesting that a study published in 2007, which evaluated the IQ scores of 250,000 male, Norwegian military conscripts, came to a slightly different conclusion. The subjects in this study were not evaluated as children. Their IQ scores were merely noted as adults, at the time of enlistment. 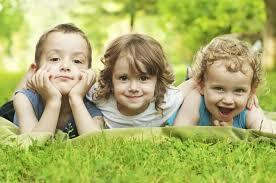 However, in this study the effect of birth order on IQ scores disappeared if an elder sibling died. In that case, the second-born took on the responsibilities of the older sibling, without having had the same attention as a child. Here, the researchers concluded that higher IQ scores could be better determined by a child’s social rank within the family, and not necessarily by birth order. This begs the question of whether these higher IQ scores are truly set by the age of one. It would seem that whenever children face higher expectations from parents, they struggle to fill the role. This could raise IQ scores without any extra reading time or instrument playing as a young child. It may be that it is merely parental expectations that cause children to become more ambitious, disciplined, responsible, and well-behaved, as first borns tend to be, and not necessarily the order of their birth. While sibling studies such as these may feel guilt-free from the perspective of a child, they can generate plenty of soul-searching from parents. If IQ scores and test results are that dependent, not just on parental attention, but also parental expectations, then we would all do well to make sure we hold our younger children to the same standards as we do our oldest, and read and play with them just as often. It makes a hard job even harder, but it would ensure all of our children have the best chance of success. A few weeks ago, I cited a study from the AARP that equated social isolation and feelings of loneliness with the negative health effects of smoking 15 cigarettes per day. 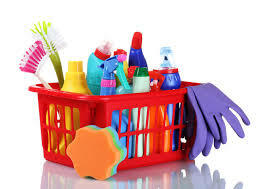 Now, researchers are sounding a similar warning against the regular use of household cleaning products. In a study performed at Norway’s University of Bergen, 6,000 people were tracked over a period of two decades. Those who had the most exposure to cleaning products had a marked decline in lung capacity, equivalent to what you might see in someone who smoked 20 cigarettes per day over that same time period. Increased rates of asthma were also noted. Researchers suspect that inhaling small particles of cleaning products on a regular basis might damage the mucus membranes lining lung airways, and thereby accelerate the decline in lung strength. Although it is not yet certain which particular chemicals in household cleaning products might be contributing to this decline, bleach and ammonia are strong culprits. To help protect your lungs from this damage, you can consider using baking soda when cleaning bathtubs and sinks, and a vinegar/water mixture when cleaning floors and windows. Essential oils can also be mixed into the water/vinegar solution to make it smell prettier. Citrus oils smell fresh, while lavender is relaxing. You could even make your life simpler still by using plain water along with a microfibre cloth, since most household jobs don’t require strong chemicals. Says Øistein Svanes, the lead author of the study, “When you think of inhaling small particles from cleaning agents that are meant for cleaning the floor and not your lungs, maybe [these results are] not so surprising”. Are you giving your wife chocolate or flowers for Valentine’s Day? Both? Perhaps neither. 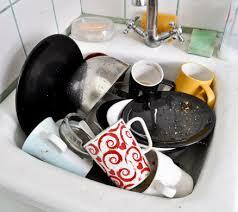 If you want your marriage to last, it might be wiser to clean up the kitchen instead. A recent poll conducted by Gleedon, a French dating website for married women, found that 73% of female subscribers decided to cheat on their husbands because he didn’t help with the housework. For women, it would appear that the top reason to reach for another man’s arms is feeling over-burdened at home. Infidelity may still top the list as the most crucial marital deal-breaker, but an uneven distribution of household chores is now rated as the number three reason for marital unhappiness, and its importance has risen the fastest over the last twenty odd years. Back in 1990, a Pew Research study found that only 47% of adults said chore sharing was important to the success of a marriage. By 2007, that number had risen to 62%, with the recent French Gleedon poll suggesting it is now higher still. This change is likely due to the sharp change in women’s status from home-maker to breadwinner over the last several decades. And while men have increased their share of household chores, I’m sorry to say that it’s still the women who do the bulk of the work. To reduce marital strife, maybe men should ditch the chocolates this Valentine’s Day and put on the rubber gloves instead? Just a suggestion. As for my own husband, I have no complaints. He cleans the dishes more than I do!